Two new subatomic particles whose existence was predicted by Canadian particle physicists have been detected at the world's largest particle collider. 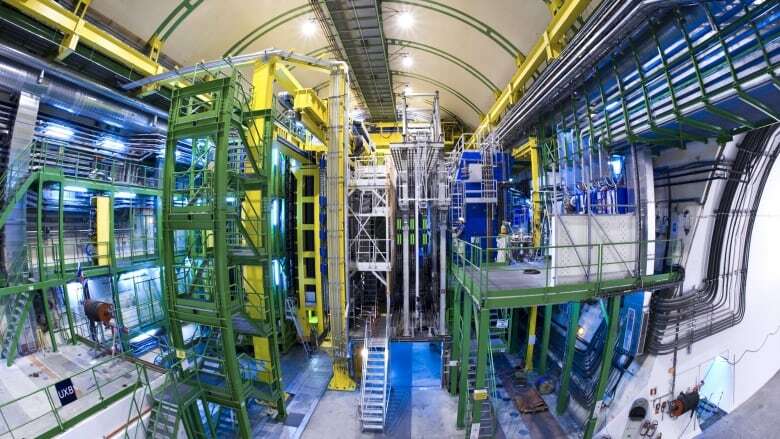 The discovery of the particles, known as Xi_b'- and Xi_b*-, were announced by CERN, the European Organization for Nuclear Research today and published online on the physics preprint server Arxiv.They have been submitted to the scientific journal Physical Review Letters. 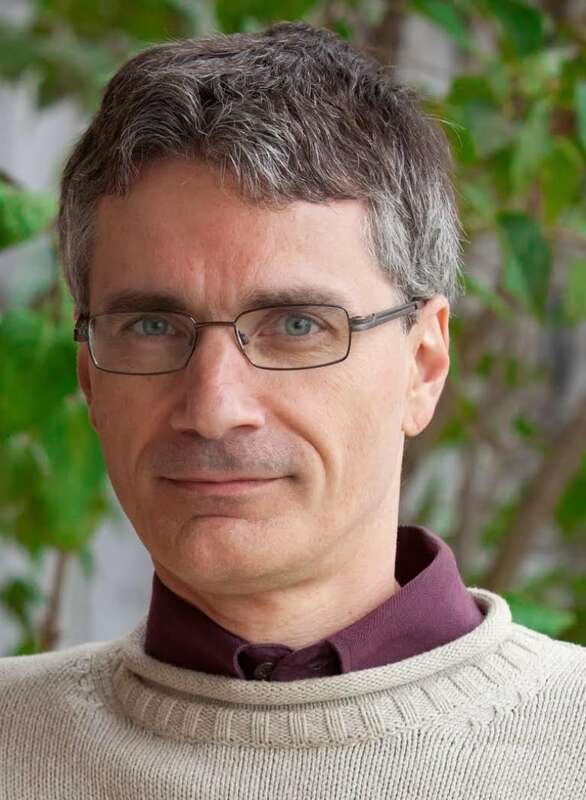 "In particle physics, you don't discover something new every day, so it's certainly very exciting," said Steven Blusk, a particle physicist at Syracuse University in New York, in an interview with CBC News. "Nature was kind and gave us two particles for the price of one," added Matthew Charles, of the CNRS's LPNHE laboratory at Paris VI University, in a statement. Blusk and Charles jointly analyzed the data that led to this discovery. The data was generated by the LHCb experiment at the Large Hadron Collider near the border of France and Switzerland. LHCb is an international collaboration involving roughly 750 scientists from around the world. The new particles are baryons – a type of particle each made up of three elemental subatomic particles called quarks. The protons and neutrons that make up atoms are also baryons, but the new particles are about six times more massive than a proton. That's because they contain a very heavy kind of quark called a b quark – also known as a beauty or bottom quark. The two other quarks in the particles are the d or down quark – a very light type of quark that is also found in protons and neutrons – and a middleweight strange quark. The existence of the two new baryons had been predicted in 2009 by Canadian particle physicists Randy Lewis of York University and Richard Woloshyn of the TRIUMF, Canada's national particle physics lab in Vancouver. Lewis said he saw the paper when it was first published online last night around 8 p.m.
"I saw the title [and] I thought, 'Oh, I predicted those — I wonder how it turned out?" he recalled. "I looked up their numbers and I said, 'Yeah, that looks a lot like what I predicted — great!" Lewis and Woloshyn had predicted the composition and mass of the new baryons using a computer calculation based on a theory called lattice quantum chromodynamics, which describes the mathematical rules for how quarks behave. The predictions give scientists at particle accelerators like the Large Hadron Collider an idea of where to look for undiscovered particles and, if they find something, what it might be. Blusk acknowledged that he was specifically looking for the kinds of particles that were discovered, based on the predictions of scientists like Lewis and Woloshyn. "We did have good reason to believe those particles would be there," he said, although he didn't know whether there would be one or two. But he noted that even when particles are predicted, there is no guarantee that they will be found. Meanwhile, Lewis said he's never quite sure that his calculations are correct until the discovery of particles that match his predictions: "One always worries, 'Have I made a mistake?'" Blusk said the new discovery's precise real-world measurements can be used to refine the calculations made by scientists such as Lewis and Woloshyn, allowing them to make more precise predictions in the future. The new particles are very short-lived; they last only a thousandth of a billionth of a second before breaking up into five smaller pieces. Blusk and Charles detected them by measuring the momentum and mass of those smaller pieces when they hit the detector and extrapolating backwards to where they originated. Wendy Taylor, a particle physicist at York University who has studied b quarks in the past, said the Large HadronCollider, with its ultra high energy collisions, provides the opportunity to find rarer particles with more unusual properties than particles discovered in the past, such as the two new heavy baryons. That's due to the phenomenon described by Albert Einstein's famous equation E = mc^2. "You can only have mass 'm' if you have enough energy 'E,'" Taylor said. "Higher energy collisions allow you to produce, hopefully, some of these higher mass particles." The b quark is the second-heaviest of the six types or "flavours" of quarks, and the heaviest that can combine with other quarks to form baryons. (The very heaviest quark, the top quark, can't form baryons). One interesting thing about the two new particles is that they are made up of exactly the same three quarks, whose masses add up the same number – but CERN researchers detected that the two new particles don't have the same mass. That's because each quark has a quantum mechanical property called "spin" – a physics phenomenon that only applies to very small particles. When the spins of two quarks are aligned, they add energy that manifests as additional mass. That makes the the Xi_b*- baryon a little heavier than the Xi_b'- baryon. "I'm happy," Lewis said, noting that such details are difficult to both calculate and detect. "These are little details of physics that we're getting right." The new particles are the third and fourth ever discovered at the Large Hadron Collider. The first, found by the CMS experiment in 2012, was a related particle called Xi_b*0, which also contains a b quark and a strange quark, but contains an up quark instead of a down quark. The second was the famous Higgs boson. The LHC is currently shut down so it can be equipped with more intense beams that will operate at higher energies when it restarts in the spring of 2015. 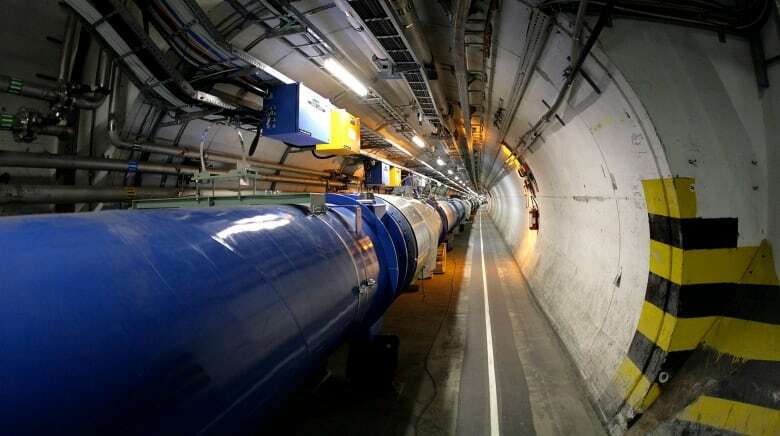 "I'm quite confident that they will be discovering many more particles at CERN," Lewis said, "and I think that will be really valuable for us to solidify our understanding."